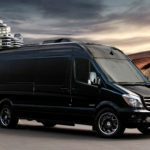 Some of the newest limousines in the business are the luxury Sprinter Mercedes line. These newest Mercedes-Benz Sprinters make the ideal choice for any type of prom limousine, corporate group travel or even a luxurious night on the town. 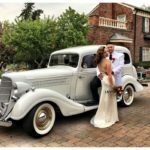 This modern luxury limousine can be configured to hold many different amenities including 10 to 14 passengers, an extensive amount of luggage as well as bars, sound systems and more. With higher ceilings as well as more space for comfort this style of limousine is very quickly outpacing the old-style stretch limousines and making them a thing of the past. The Sprinters are great for everyone looking for luxury transportation. Celebrities, CEO’s, Billionaires, busy families and regular people who want luxury transportation for prom, weddings or a night on the town. People prefer using the Sprinter limousines because it categorizes the same amount of space as a luxury private jet plane, as well as the comforts and fixtures that you might get in a high-end hotel room. 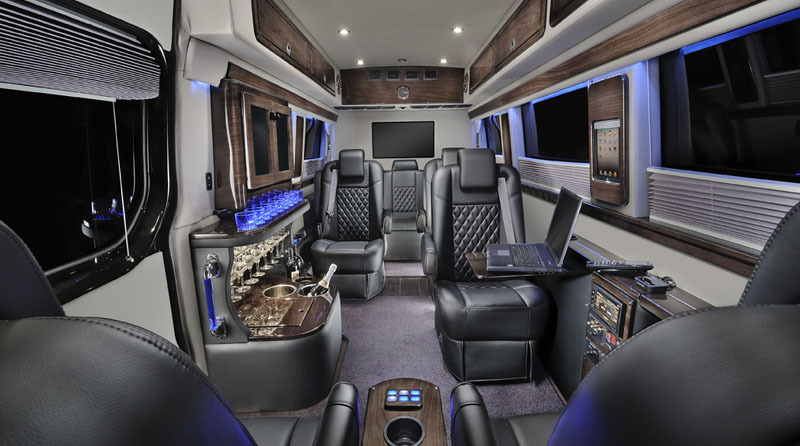 The sprinter luxury limo van can be outfitted with Internet radio, a full bar, luxury seating and more. Every Sprinter comes outfitted with Mercedes tinted windows as well as luxury leather seats. With all of these amenities combined you may be shocked to know that the sprinter limousine also offers extensive value. Rather than having to plan several separate pieces of transportation to hold an entire wedding party or a corporate travel group and all of their luggage, the Sprinter can handle all of these tasks and more. 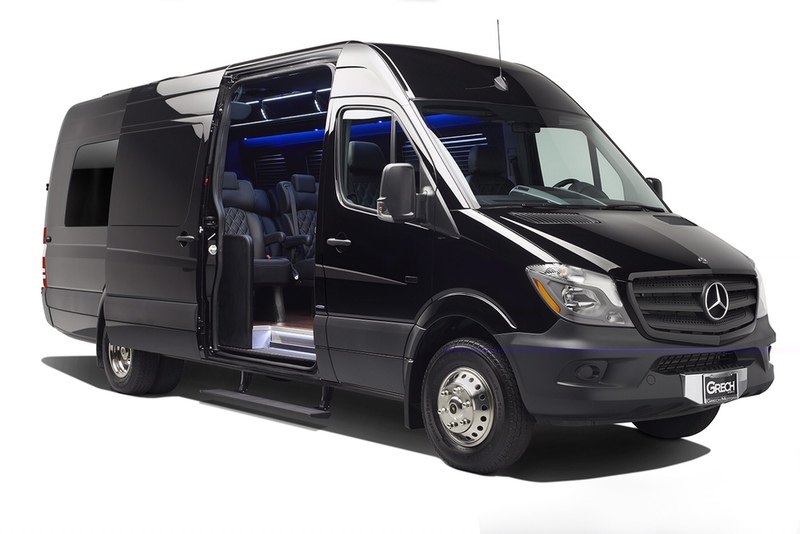 The sprinter van creates a more understated look than a typical stretch limo and this can be powerful especially for those that are interested in a less ostentatious luxury limousine. Inside individuals can benefit from all of the amenities that you might find in a stretch limo but with the comfort and space to move around during transit. 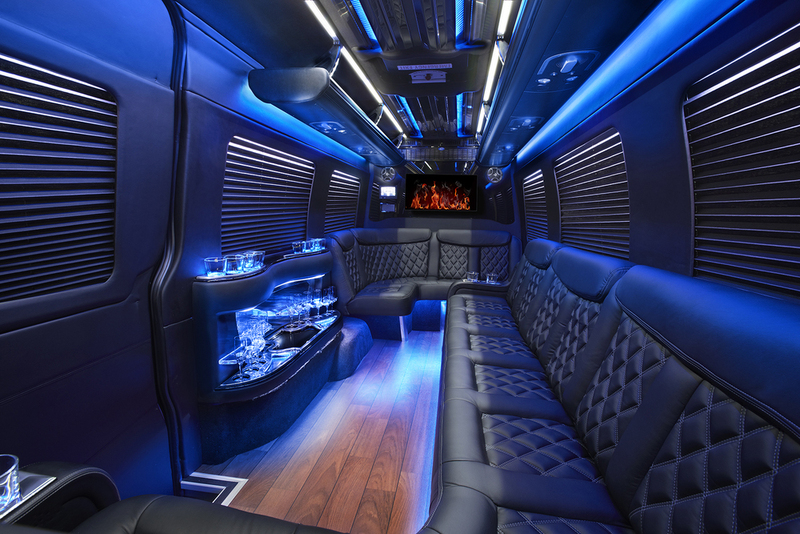 Through all of these advantages and more many local limousine companies are now updating their fleets with several Mercedes Sprinter model limousines. With such a versatile luxury vehicle it could be only a matter of time before we see the end of the stretch limousine. We are always available to give you that special touch of excellence that you deserve. You can contact us at 844-207-2964, our customer service representatives are always at your service. You can also request for a free quote online, and schedule our professional chauffeur services and our Luxury Mercedes Benz Sprinter Limousines to celebrate your events in grand style.